Askelson, M., J. Tilley, C. Theisen, and A. Theisen, 2008: The Ganged Phased Array Radar Risk Mitigation System: Atmospheric sciences applications. 2008 Joint Assem., Ft. Lauderdale, FL, Amer. Geophys. Union. Askelson, M., J. Tilley, C. Theisen, and R. Johnson, 2010: The ganged phased array radar risk mitigation system: integrating weather effects. 14th Conf. Aviation, Range, and Aerospace Meteor., Atlanta, GA, Amer. Meteor. Soc. Askelson, M., B. Trapnell, C. Thiesen, R. Marsh, T. Young, and H. Reza, (pending): Utility Patent Application “Airspace Risk Mitigation System”. US Patent and Trademark Office, Submitted July 2010. Johnson, R., M. Askelson, J. Tilley, and C. Theisen, 2010: An evaluation of various methods for tracing the propagation of electromagnetic energy through the atmosphere. 14th Conf. Aviation, Range, and Aerospace Meteor., Atlanta, GA, Amer. Meteor. Soc. Johnson, R., M. Askelson, J. Tilley, and C. Theisen, 2011: Impact of abnormal electromagnetic propagation on UAS risk mitigation with radar. 15th Conf. Aviation, Range, and Aerospace Meteor., Seattle, WA, Amer. Meteor. Soc. Marsh, R., S. Buettner, K. Ogaard, and J. Nordlie, 2008: Simulation of & Development of a Range Control Center Information Display System for UAS Operations in North Dakota. MICS, La Crosse, WI. Marsh, R., K. Ogaard, M. Kary, and J. Nordlie, 2009: Development of a Range Control Center Information Display System For UAS Operations in North Dakota. Worldcomp, Las Vegas, NV. Refereed. Marsh, R., K. Ogaard, M. Kary, and J. Nordlie, 2009: A Data Manager to Multicast UAS IDS Data to Multiple IDSs. Midwest Instruction and Computing Symposium: MICS, Rapid City, SD. Marsh, R. and K. Ogaard, 2010: Mining Heterogeneous ADS-B Data Sets for Probabilistic Models of Pilot Behavior. IEEE International Conference on Data Mining (ICDM). Sydney, Australia. 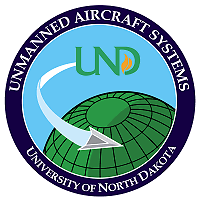 Marsh, R., M. Kary, K. Ogaard, and J. Nordlie, 2010: Development of a Mobile Ganged Phase Array Radar – Risk Mitigation System System for UAS Operations in North Dakota. WorldComp SERP, Las Vegas, NV. Marsh, R., M. Kary, K. Ogaard, J. Nordlie, and C Thesien, 2010: Development of an Information Display System for UAS Operations in North Dakota. IADIS Computer Graphics, Visualization, Computer Vision and Image Processing (CGVCVIP), Frieburg, Germany. Marsh, R., K. Ogaard, M. Kary, J. Nordlie, and C. Theisen, 2011: Development of an Information Display System for UAS Operations in North Dakota. International Journal of Computer Information Systems and Industrial Management Applications, ISSN 2150-7988, Volume 3, pp. 435-443. Marsh, R., B. Trapnel, K. Ogaard, M. Kary, C. Thesien, (pending): A Risk Mitigation Simulation System for UAS Operations in the NAS. Submitted to American Institute of Aeronautics and Astronautics: Journal of Aerospace Computing, Information, and Communication. Reza, H., M. Askelson, and R. Marsh, 2010: A Fault Tolerant Architecture Using AADLs for Unmanned Aircraft Systems (UAS). WorldComp SERP. Las Vegas, NV. Theisen, C., M. Askelson, and J. Mewes, 2010: A multi-radar data fusion method for small scale features. 14th Conf. Aviation, Range, and Aerospace Meteor., Atlanta, GA, Amer. Meteor. Soc. Theisen, C., M. Askelson, and E. Townsend, 2010: An eastern North Dakota airspace characterization through a collaborative mission between the University of North Dakota and the North Dakota Army National Guard 188th Air Defense Artillery Battalion. AUVSI North America 2010, Denver, CO, Assoc. Unmanned Vehicle Sys. International. Tilley, J., C. Theisen, and M. Askelson, 2008: Multi-scale simulations of the 26 August 2007 Northwood, ND EF4 Tornado. 24th Conference on Severe Local Storms, Savannah, GA, Amer. Meteor. Soc. Tilley, J., C. Theisen, and M. Askelson, 2011: Two high resolution radar data assimilation case studies as a prelude to phased array radar (PAR) data assimilation in support of UAS operations. 15th Symp. Integrated Observing and Assimilation. Sys. for Atmos., Oceans, and Land Surf., Seattle, WA, Amer. Meteor. Soc. Trapnell, B., M. Askelson, and C. Theisen, 2008: Ganged phased-array radar system: A ground-based risk mitigation strategy for UAS flight operations in the National Airspace. UVS International: UAS The Global Perspective 2008/2009, 140-142.